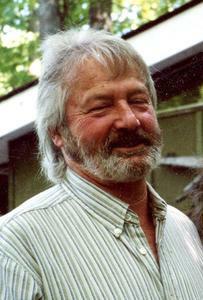 On March 12, 1939, Richard James Fuller was born at home to Howard & Alice (Swartz) Fuller in Aurelius, Michigan. The third of seven children, the family would move north and settle in Suttons Bay where dad would graduate from Suttons Bay High School in 1957. “Butch-the quiet one of the Class, and also one of the best looking,” was also rumored to have engaged in some pranks, such as assisting other students with parking a VW bug on top of the school. After graduation dad would enlist in the US Army, where he would serve his country keeping the Pentagon secure. While stationed in Washington DC he would meet and marry Joyce Argent. A few years later dad would move his family back home to Suttons Bay. It was then he joined the Fuller men at the Traverse City Iron Works until their doors closed and finally Leelanau Industries where he would eventually retire. Over the years dad became a single parent and provided a loving home for his three children. He taught us to cook, sew, and work on cars, a love of reading and gardening and canning. During this time, he also met the love of his life, Betty Jean Craig. After 33 years together on February 6, while cuddled in bed together, God called dad home. For the preceding two weeks after being diagnosed with a rapidly metastasizing cancer dad was surrounded by the love of God, family and friends. During this time we were all given a reminder that “the greatest of these is love”. As dad visited whether it be with great grandchildren banging on the piano and incessant chatter or just quiet conversation he would get up with cane and later walker to move about. In those moments we knew we were truly blessed by God to have such a man in our lives. A man who loved God, his family and friends. A gentle giant of integrity, truth, honor and all that is good in Gods world. Dad, may we honor your memory forever in all that we do. He is survived by Anna, Denise, Michael, Dennis, Carrie, Jonathan, Richard, James, Shaun, Lucas, Ben, Sydney, Skarlet, Gabriel, Lilyanna, Jayden, Lucy, Phoebe, Connor, Alex, Alayna, Kaizen, Amaya and all who have been blessed to have known your love will gather at New Hope on Feb 12, 2019 to celebrate your love. Service at 1:00 PM. Family will greet friends starting at noon.